San Francisco Scooter Rider Nets $30k in Her Pocket, Despite Pre-Existing Back Condition and disputed liability. >> San Francisco Scooter Rider Nets $30k in Her Pocket, Despite Pre-Existing Back Condition and disputed liability. An active young woman, passionate about fitness and working as a massage therapist, was riding her scooter in San Francisco when a vehicle attempted a left turn directly in front of the young scooter rider, cutting her off. 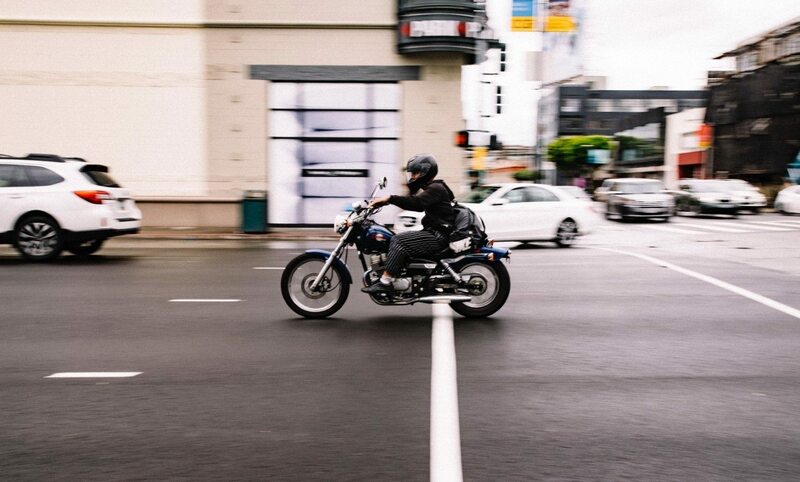 Though the she was travelling on the busiest street in San Francisco during rush hour traffic, the motorist chose to inattentively turn into the lane of travel that was occupied by our client. Traffic was moving quickly, therefore this event happened faster than the young woman on the scooter could respond, resulting in her only being able to start applying her brakes and swerve slightly, before she collided with the vehicle which threw her scooter, with her still sitting astride it, to the ground on top of her leg. Bystanders rushed to the scooter rider’s aid and helped remove the scooter from her leg and lead her and the scooter out of the roadway and onto a sidewalk. The motorist attempted to leave the scene of the accident, but then returned to await the authorities. San Francisco Fire Department were first to respond to the accident scene and transported the young scooter rider to San Francisco General Hospital by ambulance before police could arrive. The paramedics advised the motorist to await the arrival of the police to create a report, but she decided to unlawfully leave the scene before police arrived, once the scooter rider was transported to the hospital for her injuries. Thankfully, the woman had given her information to our client so that she could be held accountable for her irresponsible actions, but she refused to enable the investigation by not returning the calls of the investigating police officer. The young woman on the scooter knew she would need an advocate on her side due to the third party being difficult. That is why she sought out Sally Morin Personal Injury Lawyers: San Francisco as her scooter accident attorneys. Upon arrival at the emergency room, she was diagnosed with pre-existing degenerative spine exacerbated by acute trauma, neck pain and bruises. She was kept in the hospital overnight for monitoring of her conditions and was released the next day. She continued to experience neck pain, including tingling down her arms. She was ordered to limit her activity, including lifting over five pounds, and wear a neck collar for 2 weeks. These restrictions, not to mention her pain, ended her ability to attend the multiple exercise classes she made habit of attending each week and she was forced to discontinue her training for the half marathon she had been looking forward to. She could no longer stand to bend and apply the appropriate pressure in order to continue working as a massage therapist. Once she realized that her injuries were serious and the other motorist was not going to be cooperative, she hired us as her personal injury attorneys and we immediately began to aggressively pursue her interests. 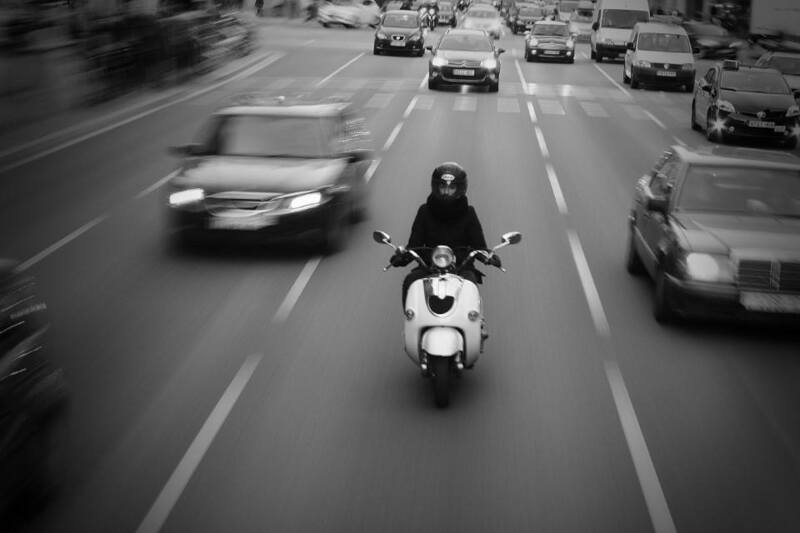 The driver’s insurance company attempted to pin the blame on our client, claiming she was speeding on her scooter. Our office quickly nipped this “bullying tactic” in the bud. We forced the insurance company to apportion 100% liability on their driver. Once this was dealt with, we negotiated a final settlement that resulted in a net of almost $30,000.00 to our client after attorneys’ fees and all of her medical bills were paid. Despite the cards being stacked against us in this case, the client was very pleased with the result and the work of her San Francisco scooter accident lawyer Sally Morin and her legal team. Seriously Injured in a Scooter Accident?